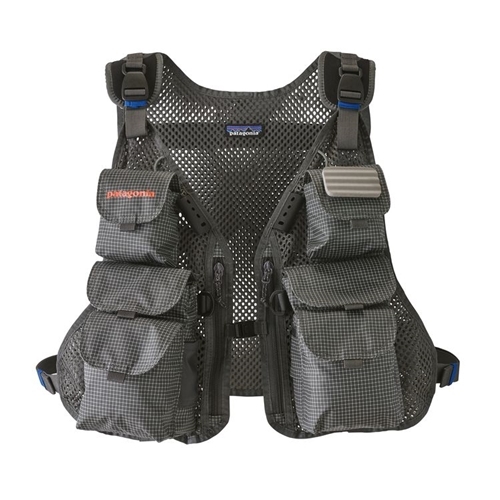 The simple, clean design and vertical-pocket configuration of our new Convertible Vest make it an ideal minimalist fishing vest on its own. But for long days or more gear-intensive weather, it easily attaches to the front of the Stormfront® Roll Top Pack and Stormfront® Pack for higher hauling capacity. The lightweight polyester mesh body breathes easily and doesn't hold excess moisture. Internal zippered pockets organize leader material, tippets and spools. External Hypalon® utility keeper and rod holder keep you fishing efficiently.